As a teacher, I always looked forward to the first day of school. Getting my room put together, planning new lessons and meeting new faces was something I couldn't wait to do. As a parent, I dread the first day of school. And this year was no different. When my newly minted third grader, Reaghan, came home of course I wanted to hear all about how it went, the new friends she made and what her teachers were like. But them came the take-home folder filled to capacity with nearly 50 sheets of paper. Half of them to be filed out and returned to school. The other half were just flyers and information. After getting through a third of the stack my eyes glossed over. Even now I couldn't tell you what half the information she brought home was or even if I filled out the remaining correctly. This is how its always been done. Why change it? 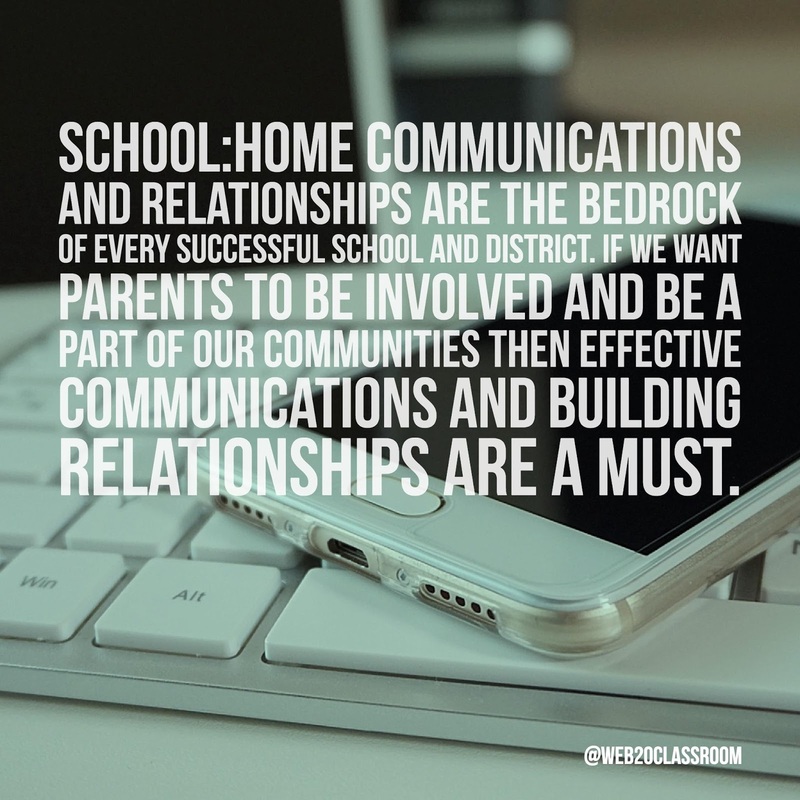 School:Home Communications and Relationships are the bedrock of every successful school and district. If we want parents to be involved and be a part of our communities then effective communications and building relationships are a must. Yet an effective communications plan is often missing when I talk to leaders about how they can be better communicators. No plans for phone calls home or what text messages can be used for. No idea how to maintain an effective website. Even worse, no idea if they have good contact data on each and every of their students or not. Some just shrug off communications as something else to do. However, the leaders that have a solid plan in place are more successful and have better relationships with their communities than the one's that don't. Effective School:Home Communications can't be an after-thought. It must be something that is constantly evaluated and refined to meet the ever-changing needs of a more mobile society. Often when I look at how a school or district communicates with their parents I try to get at the root of what works but more importantly, what doesn't. Why do emails go unanswered? Why are phone calls not listened to? Why do some parents say their child's school is great at communications, while others, at the same school, say it needs work. There are multiple different types of barriers to overcome to have strong School:Home Communications and Relationships. Barrier 1-Bad Data In Means Bad Data Out-Some of those papers I had to fill out at the beginning of the year were the same green sheets my district has been sending home for nearly 15 years. The goal is to collect demographic data on every student. Parent/Guardian Names, Addresses, Phone Numbers, Emails and other information that goes into a large database that the school can use when it needs the information. Many districts do the same thing. Send home the paper, have parents fill it out and send it back. Then it gets entered in. But how do we know if that data is good? When a school needs to send a phone call or an email how do they know if they have the best information? One of the biggest barriers that schools and districts must overcome with data is when it changes. In my experience, over 5% of the phone numbers and email address sitting in databases right now are incorrect. Sometimes it's due to bad data entry. Other times on those written forms it's tough to decipher what was actually written, so we go off our best guess. Either way 5% is a lot of data to be incorrect. If you want better data you have to have better processes. Many systems allow for electronic data gathering. It's an investment that will pay off in the end. Giving parents the option to change their contact data is a huge help as well. If a cell phone number changes it's easy for a parent to go in and change it. The easiest way is to just ask. Several times a year ask parents to make sure they have the best contact information for them. When a student's parent comes to the office to pick them up early ask them to confirm their information while they wait for them to come up to the office. Take an iPad out to the car rider line and make sure everyone there has given the correct information. Overcoming bad data in and bad data out is sometimes as easy as asking. Barrier 2-Lack Of Choice-I was in a district a while back looking at how they communicated with parents and found a parent with 6 kids, who, in one week received 88 phone calls from her district. 88! Many were attendance calls. But one one day the school called 4 times with 4 different updates for parents. Oh by the way, we forgot... Oh, and one more thing...Message fatigue is a real thing and many of us have experienced it. An attendance call, low lunch balance call, email from the teacher, flyers and papers home, it adds up. What parents want, and frankly they need is one place to get all their information and they need choice in how they get that information. 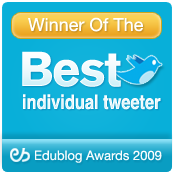 There are so many apps and web resources that teachers, schools and districts use to get the word out. Settle on one that does as much as possible. But what's more important, you need one that allows parents to choose how they will get the information. For that parent that was getting 88 phone calls in a week, she didn't have a choice as to turn off the phone and turn on, say a summary email or text message. Just that having that choice makes a difference. Overcoming the lack of choice is as easy as giving parents that option to customize how they will receive the messages you send. Barrier 3-This Information Is Awful- That statement has been made to me 100's of times by parents when I ask them about the quality of the information they get from their child's school or district. I will hear stories of phone calls that last 4-5 minutes, emails with one sentence and the desire to get a text message but the district just wont send them. I often will look and the district calls and emails and texts, uses their website and social media and see simple things that could change. Information quality is a big reason why parents say their district or school is a terrible communicator but it's such an easy thing to fix. For example, phone calls should last no more than 30 seconds. There isn't a parent out there that wants to listen for more than that, let alone who could remember what the call was about the next day. If you need more than 30 seconds use email, (Remember, if you don't have email addresses, just ask for them) or post the information on your website and direct folks there. Parents want text messages. They are great for short bits of information that don't need a lot of explanation. Also consider using certain modes of communication for particular types of information. Maybe phone calls are just for weather announcements or emergencies. That way when parents see it is the school calling they know it's important. Or maybe text messages are used for lunch balances and overdue books. 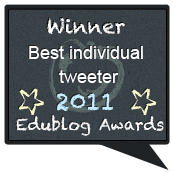 (Want to make your Media Coordinator happy? Start letting parents know by text message students have overdue books.) Any thing longer than that could be an email or posted to the website. And don't forget about social media. The reach of Twitter, Facebook and Instagram is huge. Those services can quickly get a message out about an event, sports score or reminder, some times faster than a phone call, email or text message. Overcoming the barrier of low quality information is as easy as asking how parents want to be communicated with, combined with choice and having a plan for what messages need to use which channel. Barrier 4-Perceived Lack Of Access-Most schools and districts are great at phone calls. Emails are used by many. And a few are using text messages. When I ask why more aren't using email or text messages the answer I almost always get back is "our parents don't have cell phones or email addresses." The fact is that just isn't true and we have the date to prove it. In 2011 the number of basic cell phones in the U.S out paced the population. With 315 million people living in the U.S. there were 327.6 million cell phones, enough for every man, woman and child. In 2017 the Pew Internet Study found that 77% of the U.S. population had a smartphone. That would break down to 242.5 million active smartphones. Of course there are variations due to different reasons. Some people carry multiple devices and those with low income many not have anything. However, over all access to devices is on the rise and the numbers of those with nothing is on a sharp decline. Schools and districts can no longer use the excuse that their population doesn't have the access because the data just doesn't back it up. So what can schools and districts do? Part of it goes back to just asking. If you want to start texting odds are you have phone numbers that can already ready receive a text message because over 40% of households are mobile only. If you don't think you have a number that can receive a text message, ask! But remember your purpose. Find a targeted reason to use text messages. Popular ones are for weather announcements rather than phone calls, balance information or sports information. If lack of email addresses is a problem, again you just need to ask. Since many of us download apps, an email address is needed. Beyond apps, many employers require email address for paycheck or tax information. Even easier is to show parents how to sign up for email. Getting a Gmail account is simple and can be done in minutes. Set up a computer in the front office and invite parents to sign up! Overcoming the barrier to lack of devices is realizing that most have a device that can do more than receive a phone call and using that to your advantage. 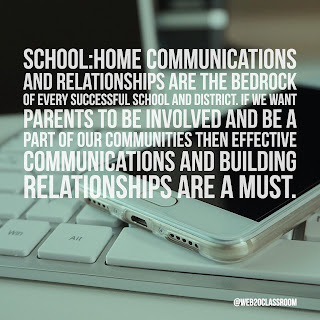 Effective School:Home Communications and Relationships begins with having a plan but also realizing that the barriers you face are the same everywhere and they can be overcome with very little effort. 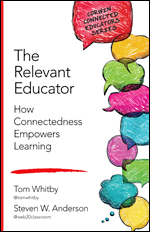 Having good data, providing choice, sending targeted messages and realizing everyone can be communicated with the way they want to be, can go a long way to building those lasting relationships every school and district wants to have.